Download and install latest official TWRP Recovery on Samsung Galaxy using Odin tool. This tutorial will guide you on how to safely flash TWRP 3.2 custom recovery on any Samsung phone using Odin software. 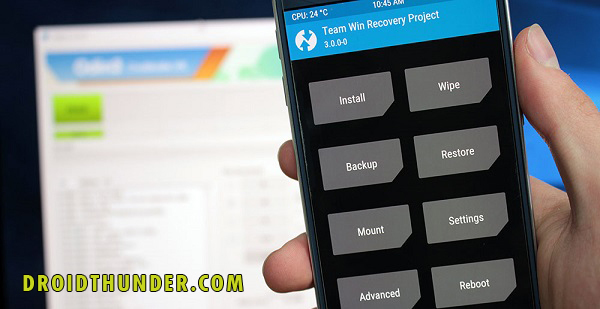 TeamWin Recovery Project or TWRP for short is a touch based custom recovery for Android. It is the most preferred custom recovery than CWM (ClockworkMod) because of its uncountable features. With TWRP recovery, you can easily root your Android using CF-Auto-Root, SuperSu or Magisk. You can also use TWRP for flashing custom ROMs, kernels, mods, taking nandroid backup, increasing internal memory, and much more. In this guide, we’ll be using Odin tool for flashing TWRP recovery on Samsung. Developed by Samsung, Odin is a a utility software commonly known for flashing files with .tar or .tar.md5 extension. It is used to perform multiple tasks on Samsung phones. Some of which include flashing official Stock firmware, flashing unofficial custom ROMs, installing custom recovery, rooting android by flashing root packages etc. Odin Multi downloader helps in un-bricking certain devices as well. Before proceeding ahead, we strongly recommend to backup your data including contacts, apps, call logs, messages, notes etc. This is because there are chance of your data getting wiped out during this process. Also make sure to charge your Samsung device at least 50% in order to avoid any accidental shutdown. Proceed at your own risk. We at DroidThunder will not be held responsible for any damage happened to your Samsung Android phone after following this guide. This guide is only for Samsung Galaxy Devices. So it is highly recommended to NOT try this method on any other device than Samsung. Standard USB cable compatible with your device. How to Enable USB Debugging on Android. 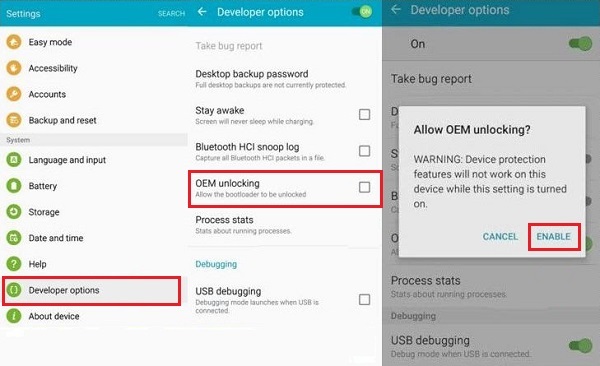 Step 2: Also enable OEM unlocking mode from the Developer options. Note: Older Android phones will not have this option. So if you don’t find it anywhere, just skip this step. 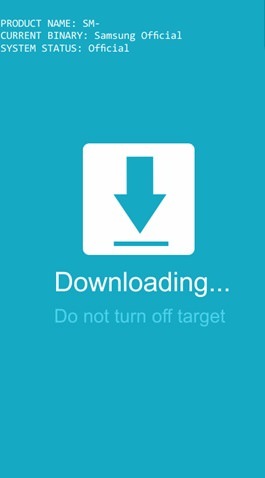 Step 3: Download Odin tool on your Windows PC from the link given above. Step 4: Also download the TWRP recovery file as per your device from the link mentioned above. Note: If the downloaded TWRP recovery file is in .img format then you need to convert it into .tar.md5 format. How to convert .img into .tar.md5 file on Android. Step 6: Switch off your Samsung device completely. 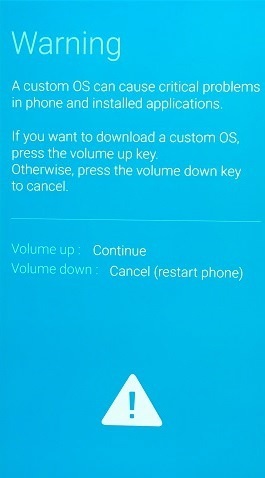 Step 7: Boot your Samsung phone into download mode. For doing so, press and hold Home button + Power key + Volume down buttons for a few seconds until you see a warning screen. Leave all the keys and just press Volume Up key to enter the Downloading mode. Step 8: Keeping the phone in download mode, connect it to your Windows PC using standard USB cable. Step 9: Download and install latest Samsung USB drivers on your PC from the link given above. Step 10: On PC, launch the downloaded Odin Tool. As soon as you launch it, the ID: COM section located at the top left corner will turn light blue. Also an Added message will appear in the message box window. This will confirm that your Samsung phone is successfully connected to computer. Note: If such thing doesn’t happen then re-install Samsung USB drivers from the links given above. If the problem still persists, change USB cable/PC. How to fix USB Device Not Recognized error on Samsung phones. Step 11: Then click on the Options tab and tick the Auto Reboot and F.Reset Time options. Step 12: Click on the AP tab located on Odin window and select the TWRP recovery.tar.md5 file which you’ve downloaded earlier. After implementing everything as mentioned above, let’s install TWRP recovery on Samsung device. Step 13: For doing so, hit the Start button present on the Odin tool. This will initiate the installation of TWRP recovery on Samsung. Be patient and wait until the process completes. It will hardly take few minutes. When it completes successfully, the ID: COM section will turn green with a message ‘Pass’ on it. This will confirm that the installation of TWRP recovery on Samsung is completed successfully. Now safely disconnect your device from PC by removing the USB cable. Note: If this flashing of TWRP recovery on Samsung fails, then close the Odin window, again go into download mode and repeat the complete procedure again. Great! You’ve successfully installed the latest official TWRP recovery on Samsung Android phone using Odin Tool. Step 1: Power off your Samsung Android device. Step 2: Press and hold Home button (middle button) + Volume Up key + Power button for a few seconds. Release all the keys as soon as you see the TWRP logo. Note: If your Samsung device does not have Home button (middle button), just press Volume up key and Power button to enter the TWRP recovery mode. In this way, you can enter TWRP recovery mode on Samsung Galaxy device. We hope that this tutorial was helpful for you guys. For any issues or queries related to this guide, kindly contact me through the comments section mentioned below. Till then keep smiling and peace out!